What Is a Main Panel and Do You Need to Upgrade Yours? The main panel in your home is a vital component of your domestic electrical system. Designed to distribute electricity throughout your property, in the form of branch circuits that feed the individual sockets and light fittings, the main panel is connected directly to the electricity supply that is provided by your local power company. Generally rated between 100 – 200 amps, domestic panels split the high current mains supply into a number of branch circuits rated at 15 amps (or more if required). Older models have a main fuse and one for each individual circuit, whereas modern panels employ circuit breakers and are therefore generally considered to be safer and more reliable. Whatever type of property you currently inhabit, it is important to ensure that the main panel in your home is maintained in excellent working order at all times and Electrical Panel upgrade needs to be done as it becomes uneconomical, unsafe or impossible to follow this advice. What Does an Electrical Panel Upgrade Involve? We have touched on two possible reasons already but there are a number of others that may prompt homeowners to ask a local licensed electrician to perform a panel upgrade in their properties, some of the most common of which we have listed below for your convenience. One of the most common problems that homeowners encounter with their electrical service panels is a lack of capacity, i.e. too little current. If you have a 100-amp panel installed in your home and you often use a large number of electrical devices at the same time, you may find that your panel is unable to cope with the demands placed on it and you could experience brownouts in your home when using power tools and other electric devices that draw a high current. In addition to more current, 200-amp panels usually have space for more circuits and breakers, making it easier to expand your home electrical system to meet growing demand in the future. If you own a large property or often use power-hungry electrical equipment, it may be a good idea to consider a panel upgrade sooner rather than later. If you are not sure whether you need to upgrade your panel to meet the demand you are placing on your domestic electrical system, you can consult a local electrician for a professional opinion. Reputable companies such as ourselves can be relied upon to provide honest, objective and easy-to-understand advice that helps homeowners to make the right decision for their specific needs. If we don’t think you need to upgrade your panel we will tell you so. If we think an upgrade is desirable, we will explain exactly what you stand to gain and furnish you with all the details you need to make an informed decision. If you are constantly tripping the breakers on your panel or you have an older panel with fuses that burn out on a regular basis, an upgrade is definitely worth considering. Modern panels that are designed to meet the needs of 21st century homeowners can deal with higher loads more easily and will help to ensure that every room in your property has a reliable supply of electricity at all times. Even if your existing panel poses no danger to your or your family, breakers that need resetting frequently are very inconvenient, especially if the panel is in a location that is not easy to reach. If your existing panel is in a hard-to-reach location and you are considering an upgrade, having your new panel installed where it is easier to access will provide another important benefit, in addition to the convenience of an uninterrupted supply of electricity in all areas of your home. 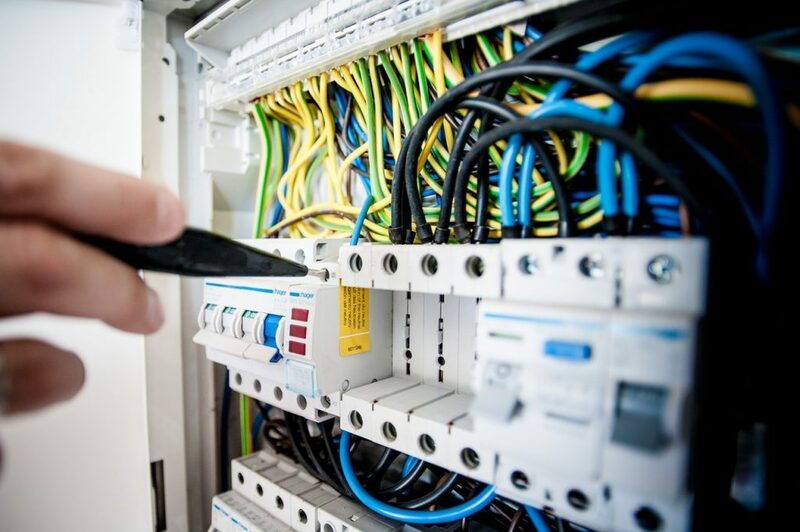 If you would like to relocate your service panel, an experienced electrician will be able to survey your property and suggest a convenient location that does not require too much in the way of disruptive rewiring and that does not pose any safety risks, which brings us on to the next point. An unsafe panel should, of course, be replaced at the earliest possible opportunity: safety is a major concern as far as the vast majority of homeowners are concerned. Many insurance companies are hesitant to offer building and contents cover to owners of properties with older panels that utilize fuses rather than breakers, owing to safety concerns, but this is more to do with the way that such panels are maintained than any inherent design flaws in older equipment. The main problem with panels that feature fuses is that rather than addressing the root cause when they burn out on a regular basis, homeowners are apt to simply replace the fuses in questions with ones that are designed to be used with higher currents. For example: they will use a 30A fuse for a 15A circuit. While this will probably stop the fuses from burning out, it will also remove the protection that is provided by correctly-rated components. If you replace the fuses in your service panel with components that are designed for higher load circuits, you will introduce an unnecessary fire risk into your home that may catch you unawares. The 14-gauge wire used in 15A domestic circuits may overheat when asked to handle a higher current, and start a fire in your walls. A electrical panel upgrade is a much better option, along with a rewire of your home, if you find that 15 amps is simply not enough for your needs in various parts of your property. Older panels will not last forever and will eventually start to malfunction if they are not upgraded. Whether your service panel is still in good working order is something that is best determined by a qualified professional so if you live in an older property and have not upgraded your panel since moving in, we recommend calling a local expert and asking them to take a look at your service panel and wiring. A previous owner may have replaced the fuses with ones that are rated for higher loads, as discussed above, or you may find that other components are in need of replacement due to age. 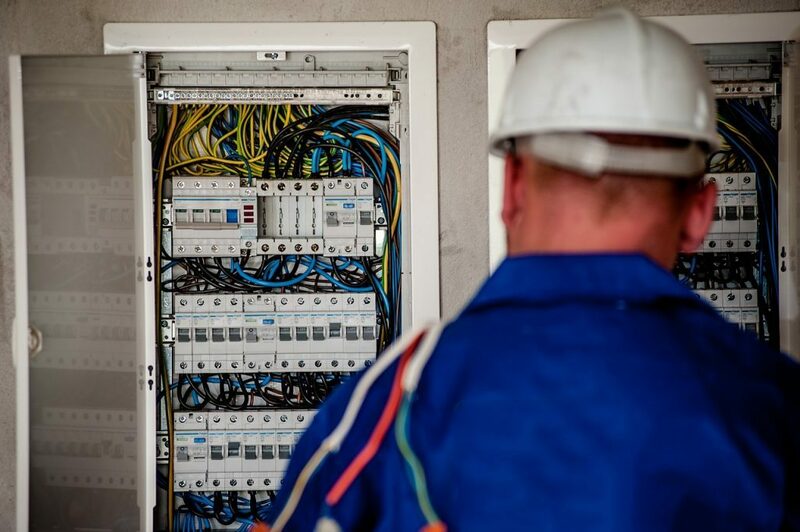 Unless you have your panel inspected by a professional electrician, you will find it difficult to know whether it is likely to malfunction in the near future and we believe that preventative measures are always the best course of action when it comes to domestic wiring and service panels. If your panel is already causing problems in your home, you should consult a Licensed Electrician in Toronto without delay. The sooner it is repaired or replaced, the better. Panels that malfunction on a regular basis are a real safety concern for owners of all types of properties and it is not worth taking a risk where your safety, and that of your family, is concerned. A panel upgrade can remove a lot of guesswork from the equation when considering the maintenance of your domestic electrical system. Whether you are an ordinary homeowner who does not appreciate having to deal with electrical problems or you run a small business from your home and stand to lose money every time your power supply is interrupted, you will find that a new panel makes your day-to-day life far less stressful. Families with young children also appreciate the peace of mind that a panel upgrade brings: unexpected power problems in a home with a young baby can be particularly disturbing. What Does a Panel Upgrade Involve? Some homeowners are hesitant to have their electrical service panel upgraded because they are worried that it will cause them a great deal of inconvenience but in most cases, this is not so: a two-man team should be able to complete a simple upgrade in a single day, with minimal disruption to you and your family. What’s more, if you are dealing with a reputable company that has completed many such upgrades over the years, you can leave all the paperwork to them. Electricians that specialize in panel upgrades for domestic properties will be able to complete all of the necessary documentation on your behalf and perform a comprehensive safety inspection once the upgrade has been completed. As experienced and fully-qualified Residential electricians in Toronto, we make upgrading domestic service panels a simple and hassle-free process for all of our customers and would be delighted to do the same for you. Whether you would like a qualified Toronto electrician to inspect your panel and tell you if an upgrade is required or you already know that your panel needs upgrading and you would like a detailed quotation, please feel free to call or email us at any time. We will ensure that your panel upgrade experience is pleasant from start to finish and because we have a highly-skilled installation team that only uses high-quality components, you can rest assured that you are in safe hands at all times when dealing with Hotwire Electric.